We love watching the excitement between couples when they finally reach their big day. At the Ritz-Carlton Philadelphia, Andrew and Rachel prepared for their wedding. Throughout the whole day, the two could not stop smiling at each other. During their first look, it was easy to see the spark that led to this great day. Equally as excited, their friends and family stood by, cheering for their favorite couple. Everyone celebrated together during the reception with entertainment from Philadelphia wedding band Onyx. However, before the celebration could begin, Lamsback Floral transformed the Ritz into a dream wedding scene for Andrew and Rachel. 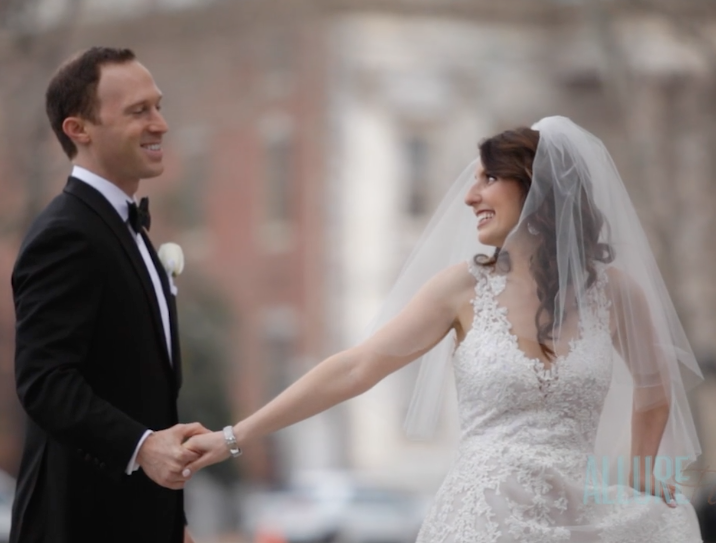 Our team at Allure Films captured the wedding on film while our talented friends from Philip Gabriel Photography joined us in photographing the event. We were so lucky to be a part of such a grand event and see Andrew and Rachel come together as husband and wife. Their wedding day was filled with laughter, excitement, and hundreds of smiles. We wish all of these things to them in every day together. Mazel Tov Andrew and Rachel!